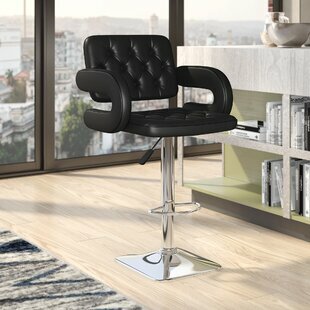 Simple, affordable and beautiful, the barstool is all about sharp lines, and beautiful sleek design. 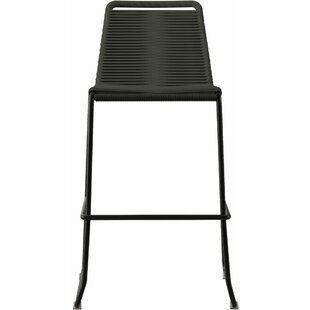 This barstool proves that being minimal can still be engaging, comfortable, and beautiful in a patio furniture setting. Overall: 44 H x 18 W x 19 D Overall Product Weight: 31lb. Impromptu pool party? No problem! 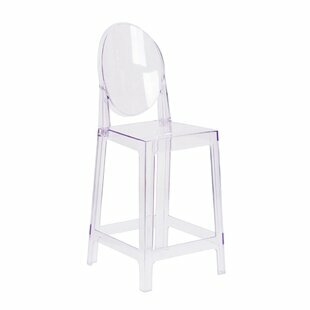 Just put on some tunes, blend up a batch of fruity margaritas, and invite guests to have a seat atop this stylish stool. Ideal for the outdoors, it is crafted of plastic and features a woven resin wicker covering, allowing it to stand up to natural damage from sunlight and rain. Plus, its understated design with clean lines and a versatile solid finish makes it work wonderfully in ensembles both classic and contemporary. Try grouping a few around a pub table on... Overall: 42.5 H x 18 W x 20 D Overall Product Weight: 12lb. Why settle for anything less than pure luxury and outstanding comfort when it comes to seating for your outdoor entertaining space? The set includes a pair of Monterey Bay Bar Arm Chairs that are big on elegance and style while the comfortably contoured seats and armrests give off a casual and relaxed attitude. Durable high-density polyethylene recycled lumber, this eco-friendly set is built to last through the years with very little maintenance required to keep it looking like new. Unlike wood... Overall: 47.13 H x 24.5 W x 21.75 D Overall Product Weight: 30lb. 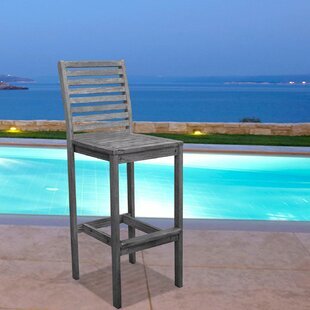 Sit tall and in chic style with this lovely bar stool, showcasing a simple and sleek design crafted from acacia wood in a white finish with slatted details and a contoured seat. Pull it up to your poolside bar or high-top table for a refined look. Overall: 48 H x 22 W x 18 D Overall Product Weight: 26lb. 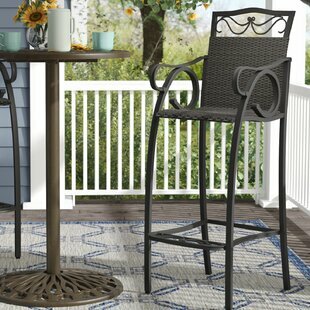 Crafted from acacia wood, this classic bar stool is perfect for offering guests an extra seat on your patio or pulling up to your kitchen island. 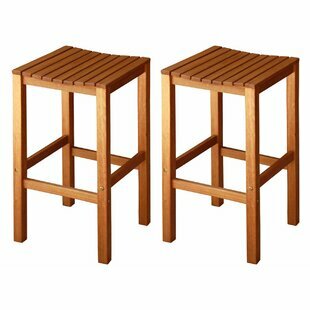 The bar stools have not been waterproofed, but they do come with a pre-applied rich mahogany stain that should help to protect them from weathering. 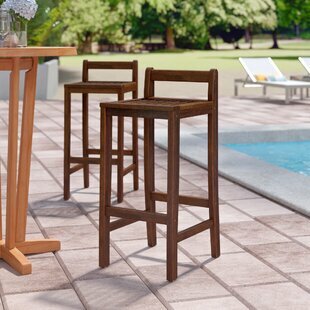 This Wood Bar Stools will adapt nicely to any outdoor space. 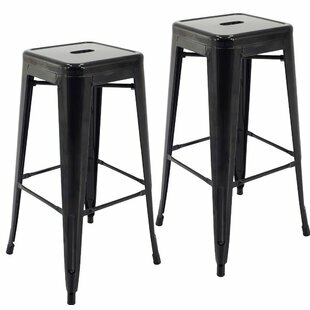 At standard bar height these stools will complete the room with their natural acacia wood and rich color. 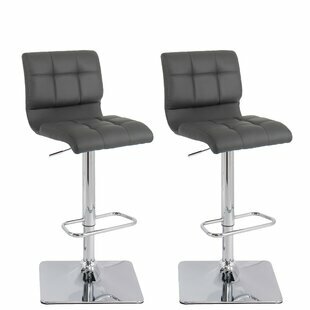 Simple lines give this Bar Stools a... Overall: 34.6 H x 17.7 W x 15 D Overall Product Weight: 26lb. 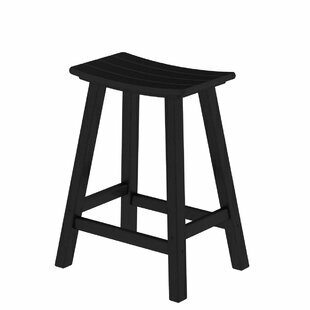 Traditionally styled, the POLYWOOD Traditional 24" Bar Stool is an ideal option to keep at your personal bar or kitchen counter. Simple yet enticing, it has a well-structured design, which offers the right mix of style and comfort. 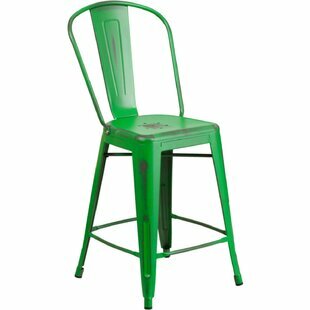 Featuring meticulous lines and comprehensive cuts, this bar stool is sure to complement beautifully with contemporary, cottage, or country style decors. 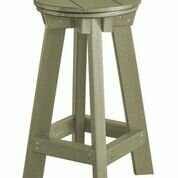 You can alternately use this beautiful bar stool with your breakfast bench or patio table to enjoy an alfresco... Overall: 24.75 H x 19 W x 14.5 D Overall Product Weight: 15lb. Overall: 52.75 H x 24.75 W x 24 D Overall Product Weight: 35lb. Your poolside paradise is coming together all thats left is to set up a spot to sip cocktails and enjoy alfresco brunches! 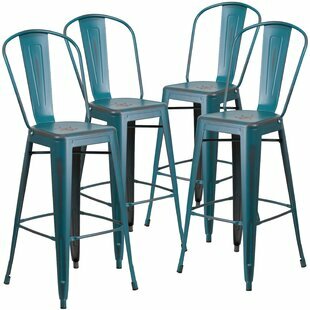 This set of two stools is sure to do the trick when pulled up to an outdoor bar or bar-height table. A slatted design adds a touch of breezy appeal, while eco-friendly frames crafted from eucalyptus resist moisture, rot, and bugs to keep your outdoor area comfortable. Overall: 30 H x 17.5 W x 17.5 D Overall Product Weight: 19lb. 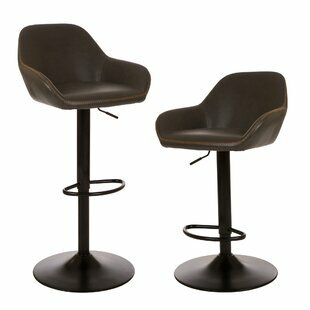 If you are looking for a new bar stool with simple design but stylish look, this Densmore product is a right choice. 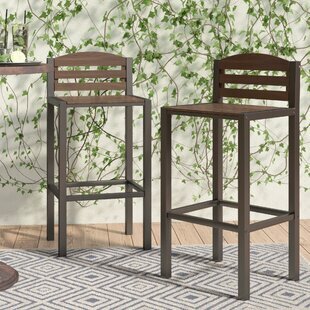 Like a one-of-a-kind masterpiece, Densmore Outdoor Hand-scraped Hardwood Bar Stool is a unique way to display your personal style. It shows off the woods natural perfection and easily blends with other settings. Furthermore, crafted from Acacia hardwood, grown in 100% well managed forests, certified by the FSC (Forest Stewardship Council), Overall: 48 H x 21 W x 19 D Overall Product Weight: 26lb. 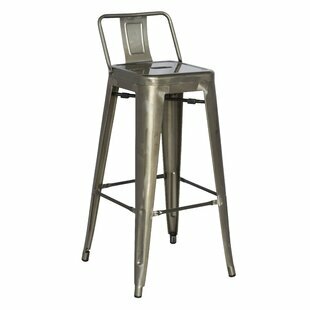 Blending on-trend industrial design with approachable contemporary style, this all-weather 30 patio bar stool is perfect pulled up to the kitchen island, or paired with an outdoor bar ensemble. 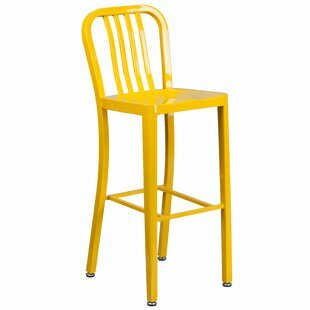 Crafted of galvanized steel in a curated selection of eye-catching powder-coated finishes, this charming stool features a slatted backrest, a gently contoured seat, and four long legs. A built-in footrest makes for convenient comfort, while four leveling feet ensure an even foundation. Overall: 43 H x 15.5 W x 20 D Overall Product Weight: 16.5lb. 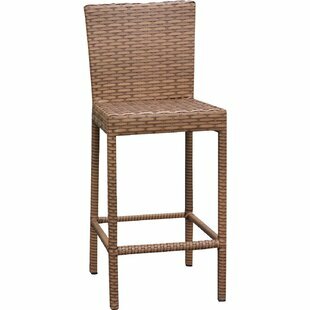 Enjoy casual meals with family or drinks with friends in the sun with this fabulous 30 bar stool! 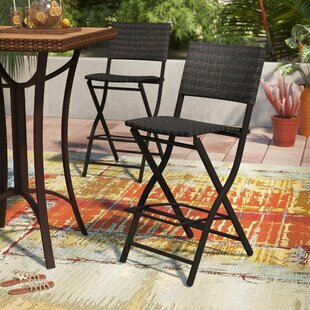 Made with a powder-coated aluminum frame in an antique bronze, this weather-resistant design showcases a woven resin wicker seat and full backrest, four square legs, and a crossbar footrest. 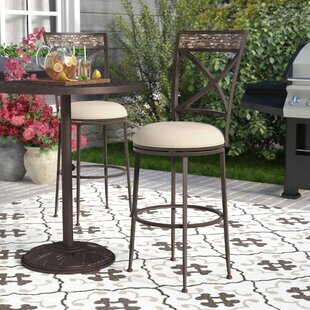 Create an inviting dining ensemble on your back patio by pulling four of these stools up to a powder-coated metal-framed pub table with a seeded glass top. Install an angular shade sail overhead to create a... Overall: 45 H x 20 W x 20 D Overall Product Weight: 12lb. 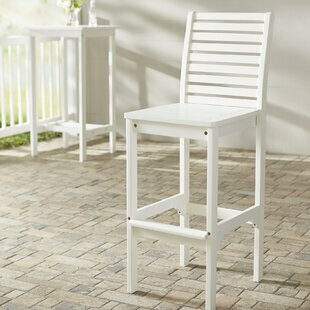 Outfit your outdoor entertainment space in classic style with this 32" patio bar stool. 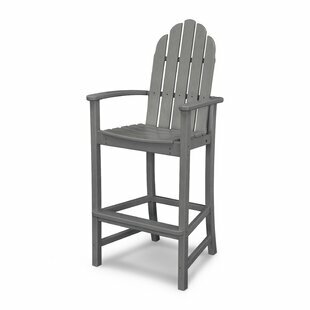 Crafted from powder-coated iron, its lightweight frame is easy to move around your deck and supports up to 250 pounds. This weather-resistant piece features a woven wicker seat and mission-style back with curling arms, while a convenient footrest down below completes the look and invites you to get comfortable as you relax outside. Assembly is required. Overall: 49 H x 18 W x 22 D Overall Product Weight: 55lb. 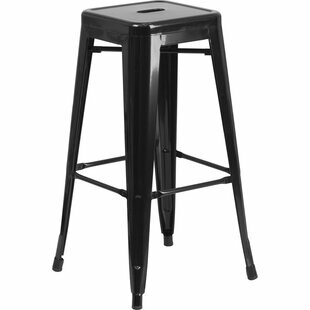 Traditionally styled, the POLYWOOD Contempo 24" Bar Stool is an ideal option to keep at your personal bar or kitchen counter. Simple yet enticing, it has a well-structured design, which offers the right mix of style and comfort. 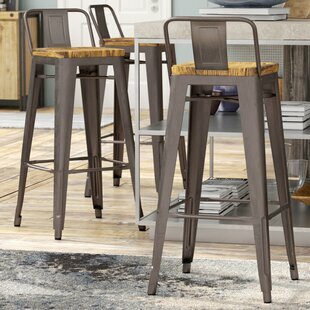 Featuring meticulous lines and comprehensive cuts, this bar stool is sure to complement beautifully with contemporary, cottage, or country style decors. 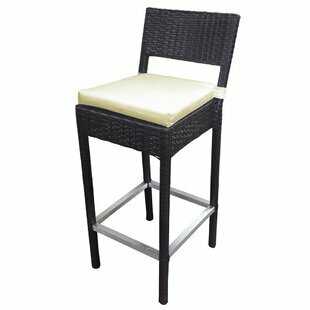 You can alternately use this beautiful bar stool with your breakfast bench or patio table to enjoy an alfresco meal... Overall: 24.75 H x 19 W x 14.5 D Overall Product Weight: 15lb. Overall: 30 H x 14.5 W x 14.5 D Overall Product Weight: 27lb. 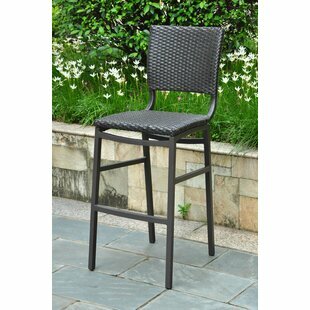 This Mattias 24 Patio Bar Stool has curved back with vertical slat. Drain holes in the seat. Cross brace under seat provides extra stability and footrest. It has protective rubber floor glides and lightweight design. Designed for indoor, outdoor, commercial and residential use. Overall: 40 H x 24 W x 22 D Overall Product Weight: 12.24lb. 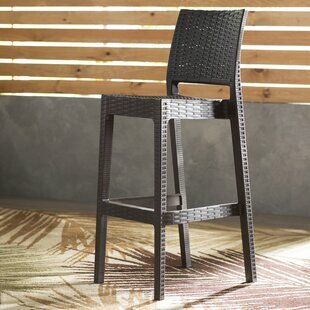 Enhance your outdoor living area with the Preston Woven Wicker bar chair. 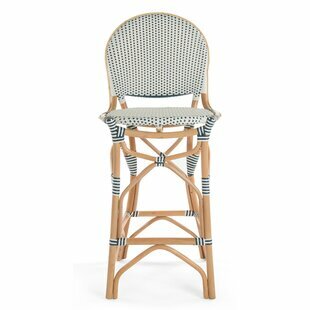 With an new woven technique design, the Preston barstool adds a dash of luxury with its intricate rattan pattern. 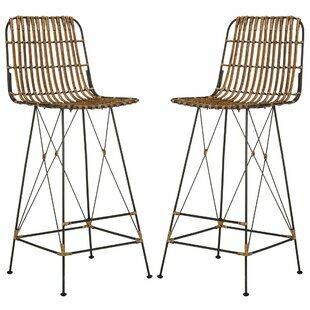 Each stool is hand crafted with rattan strands wrapped around a solid aluminum frame. Features weatherproof steel footrests on all sides. Includes beige cushion. Overall: 41 H x 16 W x 18 D Overall Product Weight: 38lb. 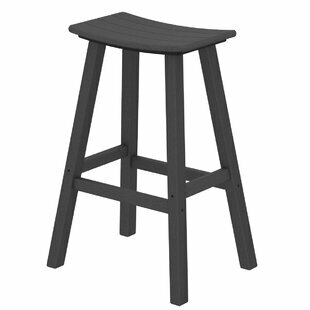 Traditionally styled, the POLYWOOD Traditional 30" Bar Stool is an ideal option to keep at your personal bar or kitchen counter. Simple yet enticing, it has a well-structured design, which offers the right mix of style and comfort. 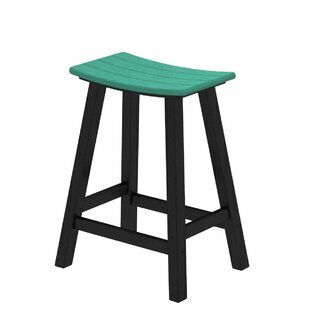 Featuring meticulous lines and comprehensive cuts, this bar stool is sure to complement beautifully with contemporary, cottage, or country style decors. 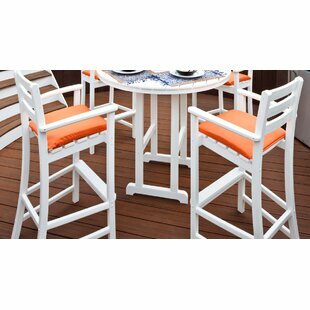 You can alternately use this beautiful bar stool with your breakfast bench or patio table to enjoy an alfresco... Overall: 29.75 H x 20.5 W x 15.75 D Overall Product Weight: 16lb. Overall: 42.5 H x 16.5 W x 20.5 D Overall Product Weight: 12lb. Overall: 42 H x 24 W x 24 D Overall Product Weight: 11lb.